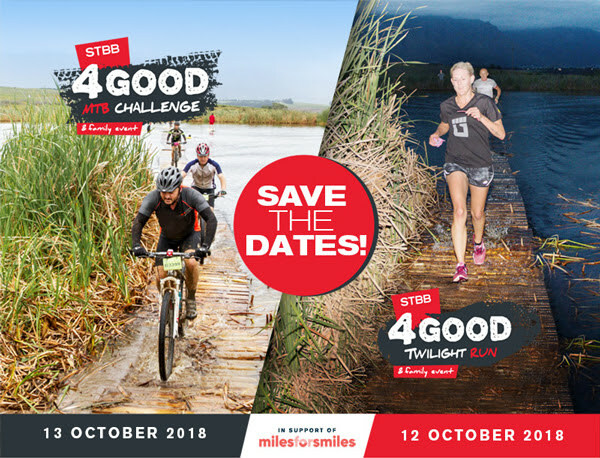 On 12 and 13 October, the popular STBB4Good Twilight Run and Mountain Bike Challenge will once again start and finish at Overgaauw Wine Estate. Co-hosted by STBB, you can look forward to a scenic run or ride through the Renosterveld Conservancy and surrounding wine estates. The Twilight Run starts on Friday afternoon, 12 October while the MTB Challenge kicks off on Saturday morning, 13 October. Proceeds will go to Miles for Smiles – an organisation that raises funds for corrective surgery on children born with cleft lips and palates.